Volumes VII and VIII not only carry the chronological catalogue of relevant manuscripts into July 1820, but they also contain an important retrospective of recently acquired Shelley and Byron letters and literary manuscripts from their summer together in Switzerland in 1816 through the end of 1819. 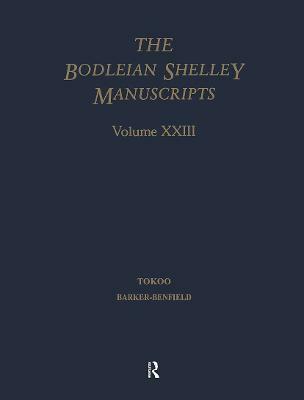 (Some eighty-five percent of the manuscripts appearing in these volumes were not known to exist when Volumes V-VI of Shelley and His Circle went to press.) Among these are Shelley's long letter to Peacock describing his first acquaintance with Byron and their trip together around Lake Geneva (hitherto published as two separate letters); the press-copy manuscripts of Byron's Beppo and Shelley's "Athanase: A Fragment"; letters of Henry Brougham and Madame de Stael that comment on Byron in Switzerland; numerous letters by Byron's Venetian mistresses; and letters charting the growth of Byron's attachment to Teresa Guiccioli. In volume VIII, the materials of 1820 include E. J. Trelawny's account and commonplace book of 1820-1822; letters by Keats and others mentioning him; hitherto established letters from Peacock and others relevant to Shelley's debt to a Bath upholstery firm; Shelley's annotations in copies of Godwin's Political Justice and Spinoza's Traclatus Theologico-Politicus; three newly discovered letters of Shelley to his Florentine banker, as well as other important letters by Shelley, Godwin, and Leigh Hunt; and a web of correspondence between Teresa Guiccioli and Byron while they carried on their affair from different apartments in the Palazzo Guiccioli. 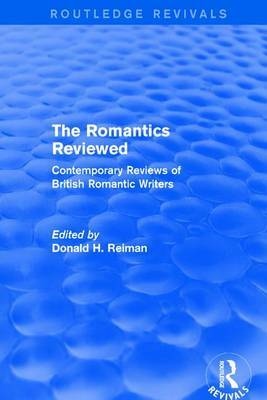 These primary materials, all meticulously transcribed (those in Italian and Latin also accompanied by full translations) are complemented by detailed commentaries on events, people, ideas, and problems reused by the manuscripts, as well as by the following major essays: "Shelley as Athanase" by Donald H. Reiman; "Countesses and Cobblers' Wives: Byron's Venetian Mistresses" by Doucet Devin Fischer; "Mixed Company: Byron's Beppo and the Italian Medley" by Jerome J. McGann; "Countess Guiccioli's Byron" by Doucet Devin Fischer; "Trelawny's Lost Years" by William St. Clair; and "Shelley and the Upholsterers of Bath" by Donald H. Reiman. Buy Shelley and His Circle, 1773-1822 by Donald H. Reiman from Australia's Online Independent Bookstore, Boomerang Books. 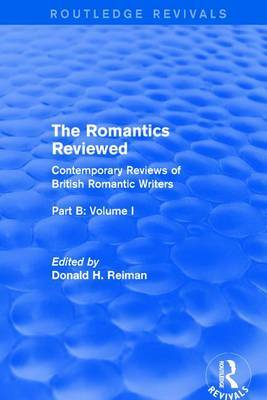 Donald H. Reiman, is Adjunct Professor of English at the University of Delaware.